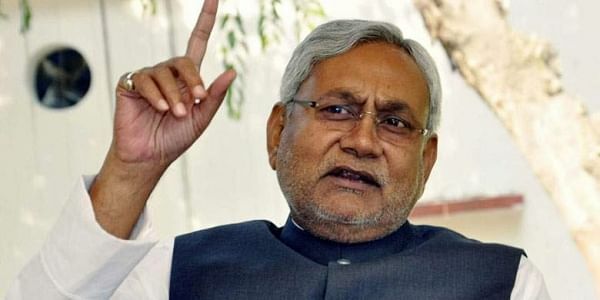 Nitish Kumar reacted to Abdullah's comment about talks of an independent Kashmir were "wrong" as the landlocked valley was surrounded by three nuclear powers -- China, Pakistan and India. PATNA: Bihar Chief Minister Nitish Kumar today asserted that entire Kashmir, including the areas occupied by Pakistan, was an integral part of India. "We have always held that Kashmir is an integral part of India. This has been our unequivocal stand on the issue. We hold that the whole of Kashmir, including the areas occupied by Pakistan, is an integral part of the country," he told reporters on the sidelines of his weekly "Lok Samvad" (public interaction) programme. Kumar was responding to a query on a statement of National Conference leader and former Jammu and Kashmir chief minister Farooq Abdullah that Pakistan-Occupied Kashmir (PoK) belonged to Pakistan. Kumar is also the national president of the JD(U), which is a coalition partner of the BJP in the Bihar government. Abdullah had, on Saturday, said talks of an independent Kashmir were "wrong" as the landlocked valley was surrounded by three nuclear powers -- China, Pakistan and India. He had also claimed that PoK belonged to Pakistan and that "this will not change", no matter how many wars India and Pakistan fought against each other. The remarks had kicked up storm with the BJP and its NDA allies reacting sharply against it.